and warm up from Fat Frog. Nyahbingi drumming from Jah Roots. Earl 16: with a career spanning over half a century he is without a doubt the leading singer on the UK Roots Reggae scene. Expect a live PA of some of his classic hits with a few classic covers. Brilliance. An honour to have him sing on our system. 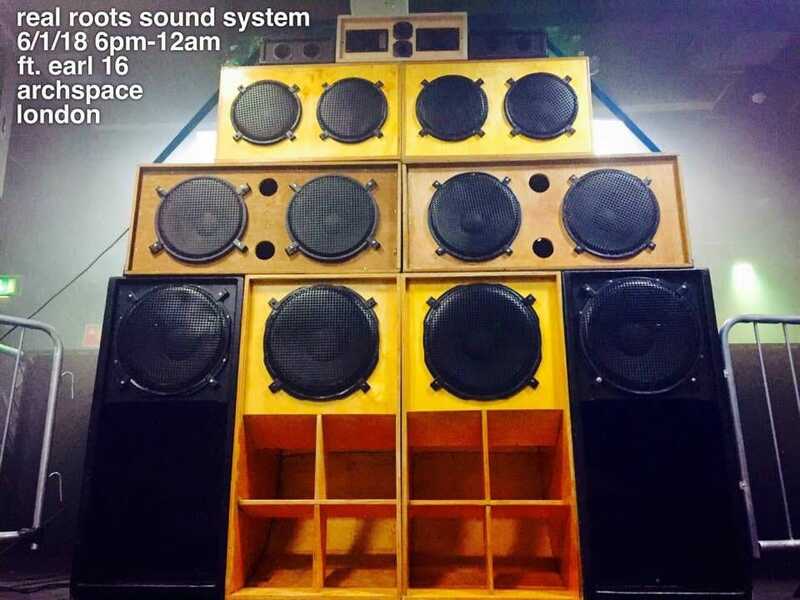 Real Roots Sound System: run and built by Sattamann & Paulo aka Real Roots. A hand built analogue sound system in a traditional roots & culture manner. Bass heavy! Strictly vinyl, strictly roots & culture. Fat Frog: a young but brilliant producer and selector with his own label PurpleFade Records. Newest member of the Real Roots Crew. Expect vinyl only and selection without objection. Roots. Ramon Judah & Singer Tempa freestyling the dance away with two different stlyles from veteran Ramon to the excellence of Singer Tempa’s unique vibrant touch.